Jesse’s guest today is Tom Rath, a name that will be familiar to most of our listeners. Tom is a senior scientist and adviser at Gallup, where he has been helping people and organizations reach their potential. His books have sold more than 5 million copies, led by the huge bestseller How Full Is Your Bucket? He is one of the masterminds behind StrengthsFinder, a very popular tool similar to the Myers-Briggs test that has been used by more than 8 million people to identify their talents. His most recent bestseller was Wellbeing: The Five Essential Elements, and one of those elements was physical well-being. 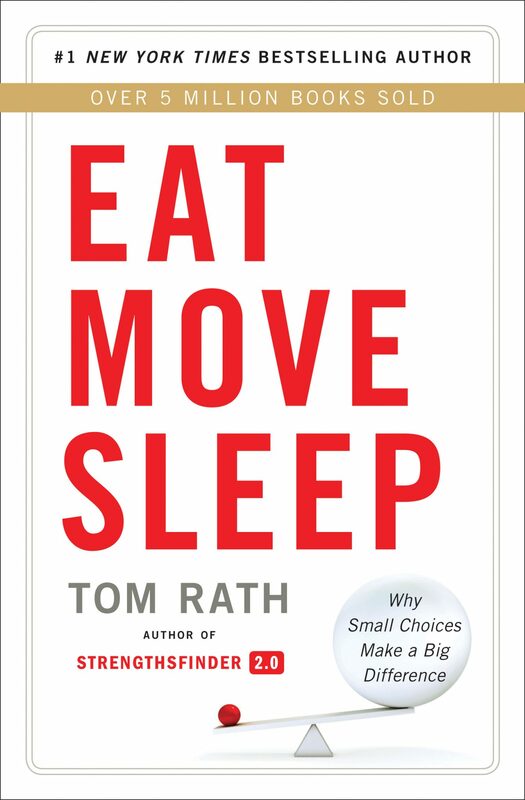 Now his newest book EAT MOVE SLEEP: Why Small Choices Make a Big Difference goes into a deeper dive on physical well-being. In this episode, Jesse and Tom discuss why it’s important for us as leaders to make those small choices related to well-being. Tom explains how we can turn them into easier, more automatic aspects of our life — and how we can influence the people we lead to also make some small choices that will make a big difference in their well-being, energy, and productivity. Janice asks: How do I exemplify positive choices at work, without being one of those obnoxious zealots?